" Some of victims are from West Jakarta. Alhamdulillah we managed to collect Rp 90 million plus Bazis by Rp 81 million"
"Some of victims are from West Jakarta. Alhamdulillah we managed to collect Rp 90 million plus Bazis by Rp 81 million," he expressed, Sunday (12/29). 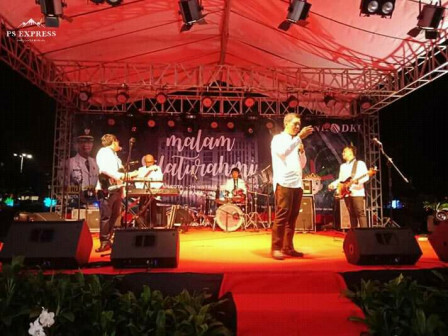 The silaturahmi night attended by West Jakarta Administration officials and locals were aimed to strengthen silaturahmi. It was also attended by City Leadership Communication Forum (Forkopimko) leaders, namely West Jakarta Resort Police Chief, Comr. Hengky Haryadi, 0503/JB Military District Commander, Lt. (Kav) Henry Masengi, and West Jakarta District Attorney's Office Head, Patris Yusrian Jaya.